Google Glass is still unavailable to the general public, but for the developers and few enthusiasts that do have their hands on a pair of Google’s eyewear computer, big things are happening. Applications are constantly being created and tested, and the newest one, built especially for baseball fans, has definitely caught our attention. The application is called Blue, developed by Paper Model Plane, which allows game attendees to follow all of the action taking place on the field through Glass. 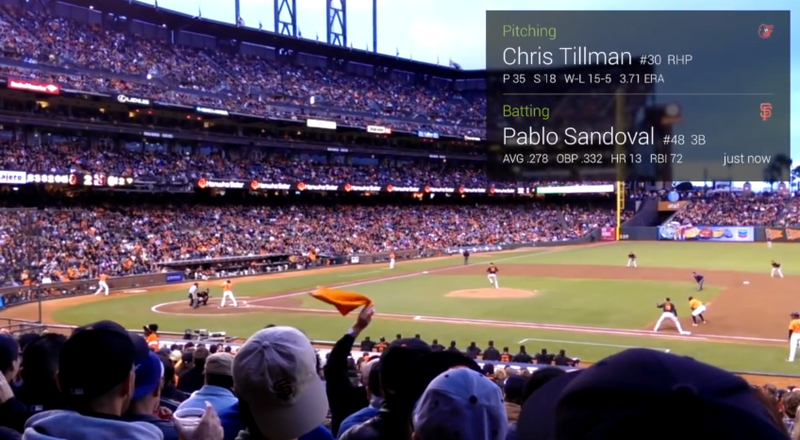 Blue geolocates you at the park, then gives you the pitch-by-pitch information as it happens. As you will see in the video that demoes its uses, you can track which type of pitch was thrown, who is up, and pretty much anything else you would need to know while at the game. This is the type of app that we want to see more of before Glass launches.